Stains from vegetable oil on the clothes before brought a huge trouble. Now, thanks to countless modern and effective means, any stains appear quickly and easily. But some folk remedies today and save often in emergency situations. If you put a stain at home, immediately take any dishwashing detergent and sprinkle on the stain. Massage well and leave for half an hour. Then wash as usual. Salt is also an ambulance for fresh oil stains. Immediately sprinkle the stain in table salt and RUB, change the salt a few times and it is highly likely that the stain will disappear on the spot. The recipe, tested time - sprinkle the stain from the vegetable oil tooth powder, RUB and leave for a day. Then shake off the powder and brush.If you can get the kerosene, soak the stain them, and then Osteria thing in soapy water. If the stain is large and old, prepare a mixture of two parts of grated soap, one part ammonia and two parts turpentine. Saturate the stain with this mixture, after a few minutes, wash the product.Another variant of this recipe - Laundry soap mix 1:10 with gasoline, this paste will wet the stain and wash the thing in a few hours. Try to get rid of stains with iron. Put on the spot, and under him, folded toilet paper. Then spend a hot iron over the paper it will absorb the fat. Change the paper until all the grease disappears. The second option on the stain, pour the starch, cover with a cloth and iron with a hot iron. Change the starch, if the stain is very large. Old grease stain can be eliminated with gasoline or acetone. Wet the stain, then iron across the paper. Then things wash in warm soapy water. 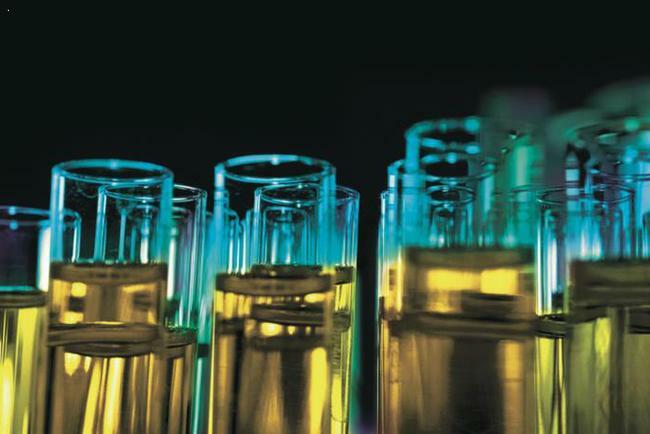 Acetate can be treated with a swab dipped in ether. Stains on a satin silk can be treated with simple chalk, sprinkle the stain, RUB and shake, then rinse in warm water. Grease spots on dark skin is possible to remove cool whipped egg white. Formed on the fabric stains from vegetable oils can be classified as fat that dissolve in organic solvents, such as gasoline, alcohol, kerosene. It is advisable to clean the stain while it's fresh with old grease stains will have to apply a lot of effort. It is not necessary to spend big money on dry cleaning, get rid of contaminants at home with the help of improvised means. 1) Salt, iron, white cloth. 2) Ammonia, detergent, water, iron. 3) Filter paper, gasoline, wool. For removing stains from sunflower oil you'll need salt, iron and a clean cotton cloth. On an oil stain, sprinkle salt, cover with a piece of cloth and then spend a fairly hot iron. If the stain is large, it is advisable to change the salt and repeat the procedure. Instead of salt use potato starch. This method is the most effective and proven. Mix one teaspoon of ammonia with one teaspoon of any detergent (it can be liquid for washing up), add half Cup warm water and mix thoroughly. Moisten a cotton ball in the prepared solution and wipe the contaminated area of the fabric with the reverse side. There was only iron the fabric hot iron through a clean white cloth. Turn several times filter paper or take a piece of clean and white cotton fabric and attach to the place spot. Moisten a cotton ball in petrol and wipe the contaminated area of the fabric in a circular motion from the inside. There is a recipe for removing oil stains from fabrics with a mixture of turpentine, ammonia and dish soap. To do this, mix grated soap with one teaspoon of ammonia and two teaspoons of turpentine. Apply the mixture on the grease stain and after a few minutes, rinse with warm water or remove the mixture with a damp sponge. Before you begin to withdraw stain from clothing, first use the drug on a small piece of tissue from the inside of the product. Only after you verify that the resistance of the tissue to this tool, you can start to spot treatment. It is important to move from the edge to the center spot. Different types zagryaznenii need to remove from the inside of the product. 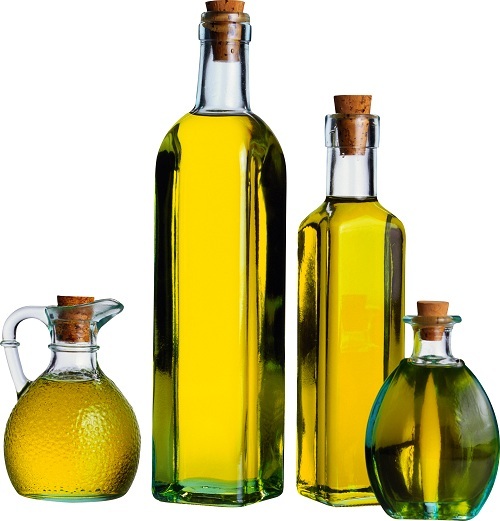 Stains from vegetable oil – almost one of the most unpleasant options of household contamination of clothes. Oil is not water soluble and has a viscous consistency, and over time it thickens even more, but it is able to impregnate the fabric completely. Normal washing in this case will not help – still in the tissue will remain dark shiny spot. Iron and paper napkins (the last paragraph). Before you start removing the stains, you must remove the oil, do not soak into the fabric. This can be done using regular table salt. Sprinkle salt on the stain and after a few minutes it will absorb as much oilas possible, because it is very hygroscopic. If salt is not at hand, you can use white bread crumb – blind from it a ball and roll on the stain. One of the most effective ways to remove oil stains – paste, soap, turpentine and ammonia. To prepare this mixture RUB the soap on the grater, then dissolve with turpentine to the state of the liquid slurry and add a few drops of ammonia. Next, apply the mixture to the stain and leave for 10-15 minutes. Then rinse off with water and wash the thing. The method is very good, but not every modern housewife has a set of ingredients. 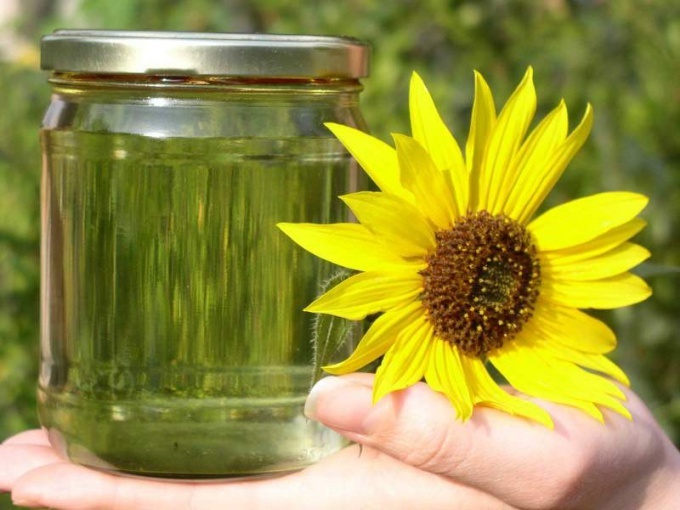 Even stains from sunflower oil can be removed with kerosene. To do this, wet a rag with kerosene and gently wipe the stain from the edges to the center. The only disadvantage of this method is a strong smell of kerosene. To get rid of it, the thing needs to be washed in warm water and then put in the washing machine. Grease stains are easy to remove with a solvent of white spirit or petrol. The technology is the same as when using kerosene. Can be used for removing stains dishwashing detergent, which breaks down fat. Apply the product on the stain and sasteria hands, then rinse with water and send to the Laundry. The disadvantage of this method: it is not suitable for delicate fabrics that cannot be subjected to mechanical loads (viscose, silk, delicate cashmere), because the friction can damage them. More difficult with the removal of oil stains from things that can not be washed. Of course, you can take them to the cleaners, but it is not a cheap pleasure. 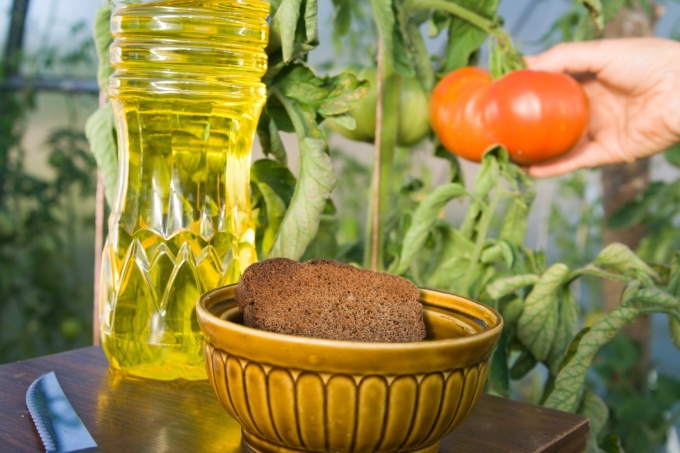 There is a way to turn vegetable oil from them at home. So add to spot the loose paper on both sides. You will fit wipes or paper towels in a pinch, toilet paper. Then gently iron the stain with a iron across the paper. The essence of this method lies in the fact that the paper will absorb the heated oil, pulling it out of fabric. If the contamination is small, it may be enough for one time. Otherwise, change the paper, clean and repeat again to achieve results. If you use chemicals – never use them simultaneously. They can form dangerous compounds. The faster you will deal with the breeding spots, the better the result. One awkward movement can hopelessly spoil your favorite blouse. A little gape, and now in plain sight appeared an ugly grease stain. Do not worry, fresh fatty stains are very easily removed. If you act correctly, fat will not be over. - glue for bike cameras. Scrape off with a tissue layer of grease or food residues. Do it as soon as possible before the stain strongly absorbed in the fabric. Gently DAB the excess oil with a paper towel, being careful not to smear the stain. If the fabric does not require delicate handling and can withstand quite a high temperature, the remnants of the stains disappear in the wash. Thus remove the stains of sauces, mayonnaise, avocado, ice cream, oils, ointments and creams. The stain on the fabric that cannot be washed in hot water, apply a small amount of eucalyptus oil, then wash in cool water. If the fabric is particularly delicate, wash it is impossible, wipe the stain with a warm wrung cloth. Then treat the stain with aerosol solvent for fat. A special problem is a fat spot on the neckwear. Expensive silk tie cannot be washed. He very easily loses its shape, and the fabric from which sew the ties, under the influence of moisture can fade. If the stain on the tie a small try to get it with the iron and blotting paper. Put the stain a piece of paper napkin, from above, close the paper. Gently apply the tip of a not too hot iron, each time changing the paper until the fat is completely absorbed. After that, the remnants of the stains remove with stain remover. Also remove greasy stains from jackets or other clothing that cannot be washed. If the stain is too big and fat mixed, for example, with tomato, better to give the thing to the dry cleaners. Fresh spot professionals withdraw quickly and without a trace. It's not worth risking an expensive thing, trying to get the stain out yourself. To remove spots of grease from carpet, use an iron. Print the stain with blotting paper and warm iron until absorbed all the fat. Remains spot treat with carpet shampoo. RUB the foam into the carpet pile with light pressure. If the stain does not disappear or show up again, repeat the process from the beginning. Fresh greasy stains on the furniture, sprinkle thickly with talc. It absorbs the fat. After ten minutes remove the talc. Repeat the process, if the stain will not disappear completely the first time. To remove stains from leather clothes and shoes, apply the glue for punctures on the bike camera. Leave overnight and in the morning remove the tape. Then apply a Shoe cream or conditioner to the skin. Stains on suede carefully blot first, and then gently run the cotton swab dipped in gasoline. Be sure to check color fastness in an inconspicuous area. 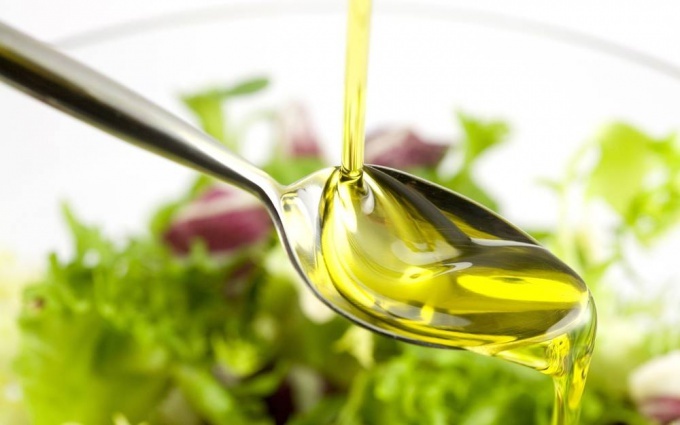 Vegetable oil is not only a delicious product for frying and salad dressings, but also a source of stains. Grease stains are an inevitable companion of the mistress very often on clothing, a tablecloth or a towel found traces of fat. How to withdraw stain from the vegetable oil? Prepare the iron, little starch and two cotton napkins. Pour the starch into the stain, cover with a napkin. The bottom also enclose a napkin. Iron with a hot iron. If the stain has not disappeared, change starch. Can novel procedure, using instead of the starch substances such as salt, white chalk, potato flour or talcum powder. If you don't want to use starch, you can try to get rid of the stain with toilet paper. The principle is the same, only instead of napkins you use folded toilet paper, and starch is not used. The toilet paper absorbs the fat. Replace it as needed. Iron should not be too hot. When detected at tissue old stains from vegetable oil, use solvent, such as gasoline or kerosene. Wipe the contamination of wool, which is soaked in solvent, and then iron. Do it via paper towel or cotton cloth. Don't forget to moisten the area around the spot – then after the procedure you will not get an ugly circle things. After the stain disappears, the product should be washed in warm water. Do not use solvents on synthetic fabrics. When you see the spot for things of the filler (sofa, jacket, etc. ), mix solvent with salt, starch or chalk. The resulting composition RUB the stain, wait a little and gently clean off. Better before the procedure to test the part in an inconspicuous area soiled things: toga you insure yourself against possible troubles. Another simple recipe: RUB on grate soap and mix with turpentine and ammonia in the ratio 1:2:1. Spread the stain obtained with paste, wait five minutes, and rinse with water. You can remove the part with a wet sponge. When you are preparing food in the kitchen, or engaged in the repair of his car, careful not to dirty his clothes. Try to wear something that is not a pity to pollute. To clean clothing it is necessary to use special tools, which are able to withdraw any stains and dirt. Sometimes if you are on duty you have to perform the dirty work, wear specially designed protective clothing. This will save you from a long time removing stains and dirt from your skirt or pants. Remember that it's advisable to remove stains immediately after they occur. A much more difficult situation with the old, already dried stains. Before you begin, clean the dirty area of the clothes from dust. Remember that to wash the clothes after removing stains. To after removing left no trace on the fabric, treat the area around the spots. To remove the grease stain, prep swabs, small plate, covered with several layers of white cloth. If you will be using chemicals, ventilate the room. To remove grease stain from clothing using organic solvents such as gasoline, turpentine, ether, acetone, alcohol. If the grease stain is fresh, sprinkle salt on it and gently RUB with a toothbrush or a specially prepared hard matter. Replace salt several times, until the pollution will be practically invisible. Then wash clothing in hot water, well-processed stained area with bar soap. With a wool cloth remove grease gasoline, with velvet – turpentine or alcohol. Before removal of old stains soften the cloth with solvent or gasoline. Then a contaminated site hot sprinkle with potato flour. The procedure is repeated several times until complete disappearance of the spots. If all of the above methods did not help you, and get rid of grease stains failed, take clothes to the dry cleaners. Carefully about your clothing and do not expose it to unnecessary risk. It is desirable that it did not have any contamination. After all, every spot spoils the cloth, which undoubtedly influences the attractiveness of your clothes. Stains from sunflower oil – not uncommon on the clothes. This is particularly true of Housewives who spend a huge amount of time cooking. Like any other pollution, the stain of sunflower oil, should be cleaned while it is fresh. Removal of old grease stains may require a lot of effort. To wash the stain from sunflower oil does not have to spend money on dry cleaning. To make that any owner in the home with the help of improvised means. The first way to remove stains from sunflower oil with clothes is the most simple, but at the same time the most effective. The thing spoiled sunflower oil, should be put on a flat surface. 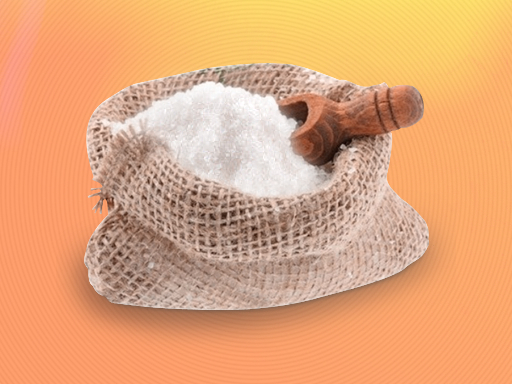 On the very oil, you should pour a handful of common salt and cover it from above with a piece of clean cotton fabric. Further along the fabric to spend a hot iron. If the stain is from sunflower oil large enough, salt must change and repeat the procedure again. By the way, instead of salt for removing oil stains from clothes, you can use potato starch. To remove the stain from a garment of sunflower oil you can use a special, pre-cooked solution. It consists of one teaspoon of ammonia, teaspoon of detergent, for example for dishwashing, and a half Cup of warm water. A cotton swab dipped in the resulting solution, wipe contaminated oil patch of clothing on the reverse side. Next, the stain should result in a clean cloth and ironed her hot iron. To wash the stain of sunflower oil can be useful and gasoline. Folded several times a piece of white cotton fabric to be attached to pollution. On the reverse side of things, you should wipe the stain in a circular motion with the help of soaked in gasoline cotton swab. For removing clothes stains from sunflower oil, you can prepare a special mixture consisting of one teaspoon ammonia, two teaspoons of turpentine and grated soap. This mixture should be applied to pollution. After 10-15 minutes a homemade stain remover to wash off with warm water or remove with a damp sponge. Sunflower oil can leave on the cloth stubborn stains, especially if they are not immediately seen. To deal with stains, normal wash will not be enough. First have to process them to be sure to be sure that they will be washed off. If you just put the stain, then immediately sprinkle heavily with salt, baking soda or cornstarch. Adsorbing substances quickly absorb the main fat, and you will be overcome only with the remnants of pollution. To do this, liberally pour on the stain dishwashing detergent, leave to dry and wash the fabric in the washing machine with any synthetic detergent designed for white or colored fabrics. If you accidentally spilled oil on a product that is not subject to the wash, can dry cleaning, where it will remove any stains without subsequent washing. Or wipe the stain with gasoline highly refined and process cotton pad dipped in rubbing or denatured alcohol. You can also apply for pollution from the pulp of soda, moistened with water, leave to dry completely. Then clean the part of the garment with a brush and wipe with a cotton pad soaked in alcohol. The stain of oil safely removed without subsequent washing. In addition to these means for removing greasy stains from the products to be washable, you can use the stain remover under the trade name "Vanish". Before using read the label, where you're given detailed instructions on the application. Apply on the stain, add a scoop in the wash. "Vanish" release for removal of stains from white and colored fabrics, use one that you need to remove stains from your belongings. Any solvent means, such as: gasoline, acetone, solvent 646, kerosene, mineral spirits easily removes any grease stains, you only have to apply one cotton pad to clean dirt, but the solvents are aggressive composition and can ruin the texture of the fabric, so before use, check their effect on inconspicuous area of fabric. If no burnt spots, feel free to spend the removal of oily stains with the right places on things. A composition of equal parts of ammonia and turpentine is also great to cope with fatty stains and is safe for the fabric. Remove the specified means of stains from delicate fabrics such as silk, velvet, velour, lace, wool. It would seem, it's not that hard to wash a bottle. 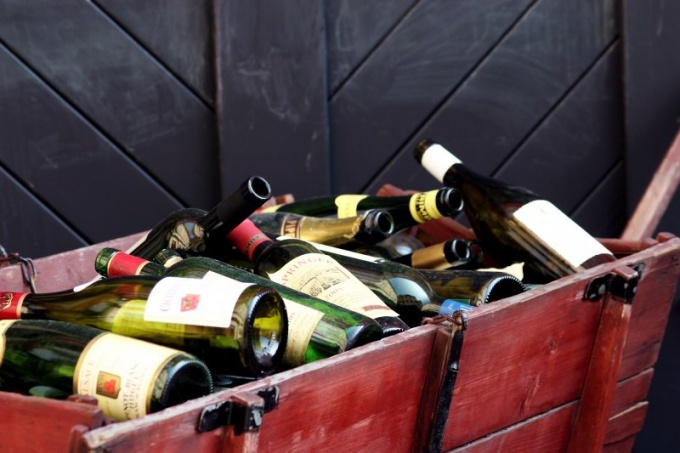 However, if you need to clean a large amount of recycled packaging (e.g., clogging of house wine), it can turn into a problem. Grime, blooming from stagnant water on the glass surface, adhesive paper and plastic labels, excise stamps - will have to Tinker. The easiest way to wash the bottle – a good old brush, hot water and a small amount of baking soda, salt or liquid for washing dishes. 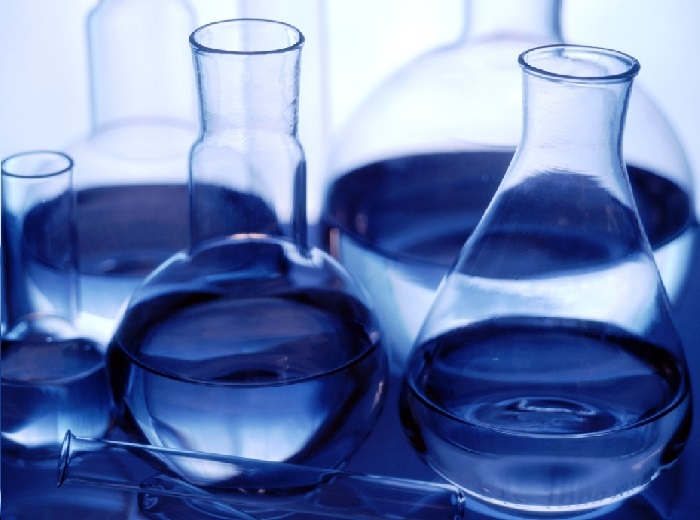 Residues of household chemicals has not settled on a glass cavity, rinse the bottle under running water or in several clear waters. Pouring liquid from time to time, vigorously shake the bottle. If the walls of the vessel remain difficult contamination (e.g., a green or brownish tinge microscopic algae) need to use abrasive media. Fill the dirty container with sawdust (cereals, coarse sand, egg shells, etc.). If you are engaged in cleaning of bottles in the summer - just grass. Add in a container of water and shake well the bottleuntil the dirt is away from the inner walls. Then you will just have to wash and rinse containers. Use a special solvent mineral deposits, to get rid of the plaque white. It is produced in bottles for storing in the hard water. This means you can search in the store household chemicals (for example, Sanox, "Chimitec", etc.). To remove the paper label bottles are usually soaked in a roomy container with very warm water for a few hours. To speed up the process, to water you can add a little dishwashing detergent. After soaking some labels fall off the bottles themselves. If you used a more powerful adhesive, the debris will have to clean off with an abrasive sponge and scouring powder. At the same time will wash away and traces of glue. Film labels pour hot water and remove the tip of a knife. If the glue is not amenable to the sponge and the powder, wipe it with acetone or solvent. You can search and specialized industrial tool for removing labels like "Antivandal" or ". Label". Pour into the cleaned bottle a bit of pure water if it flowed along the walls of the integral flow, you managed to wash the clean bottle. On a dirty glass always liquid droplets. Spots that remain from vegetable oil, often become a nuisance for Housewives. In particular, those stains remain on clothes for those women who are large gaps of time at the stove, preparing the Breakfast-lunch-dinner. Just like any other pollution, the stain from the vegetable oil, in this case sunflower, should be cleaned immediately while it's still fresh. In order to remove old oil stain, you need to exert a lot of effort. However, this does not mean that clean sunflower oil is possible only through dry cleaning. Any woman is able to bring such a stain on their own, at home, using basic household products. There are a couple of ways. Let's start with the most simple way, but no less effective. The thing that is contaminated with oil, should be spread on a smooth surface. On a patch of oil you want to pour a handful of ordinary table salt, then cover the stain with a piece of clean cotton cloth. After this you need to heat the iron and hold it on the fabric. If the oil stain is quite large, the salt should be changed and then repeat this procedure again. Instead of salt you can use potato starch. The following methods of removing stains from sunflower oil is the use of prepared solution. This solution is easy to prepare yourself. To do this, connect a teaspoon of ammonia, a small spoon means that you wash the dishes, and half a Cup of lukewarm water. With the help of a cotton swab, which should be moistened in this solution, it is necessary with effort to wipe the area on the garment that is dirty. Thus the need to wipe only from the inside. Then on the spot you need to put a piece of clean cloth and ironed with hot iron. 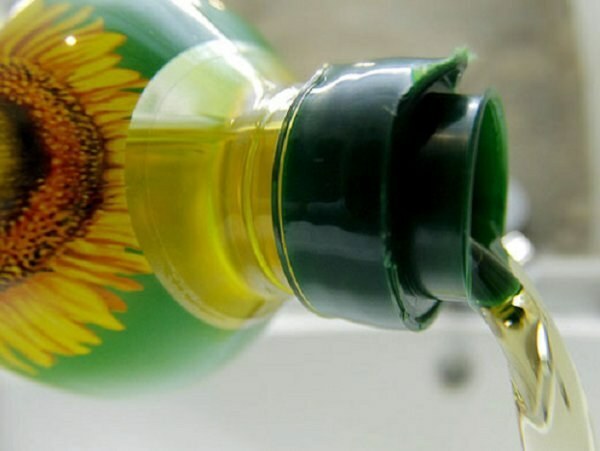 An effective way to clean sunflower oil is the use of gasoline. You need to take a small piece of cotton fabric of white color, roll it a few times, and then apply it to the stain from the oil. Then from the inside thing is wiped with a cotton swab dipped in gasoline. Need to wipe using a circular motion. You can also try to get the stain out using the following mixture: a teaspoon ammonia, two teaspoons of turpentine, and two spoonfuls of grated on a grater soap. This mixture is applied on the spot. Fifteen minutes wash it with warm water.